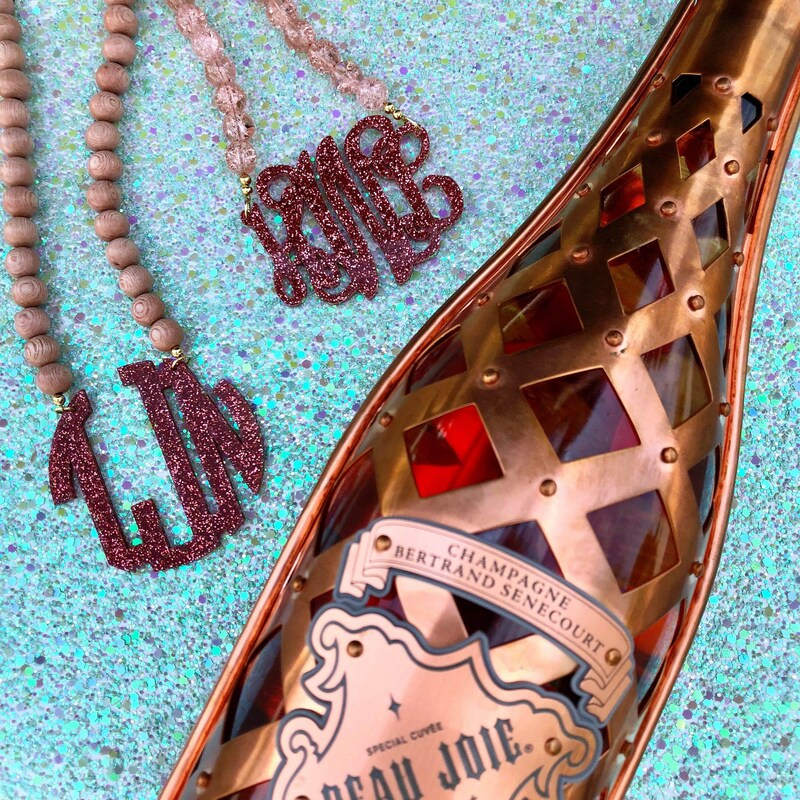 This listing is for ONE (1) short beaded monogram necklace with rose glitter acrylic. Please select what style monogram and bead option you want from the drop down menu. Current turn around time is 2-3 weeks. Please message me if you have any questions or customizations!